So my youngest daughter Ella (13) got into golf last year. She played the junior PGA last year and this year. She caught on remarkably fast. Not a ton of drive to practice but that all changed a few months ago. 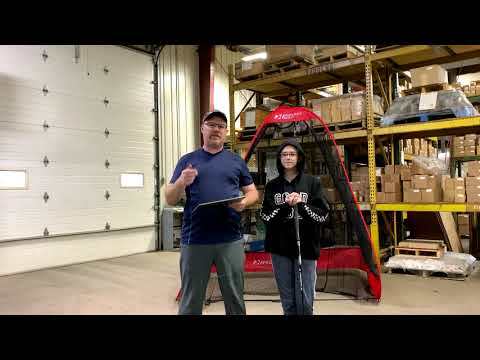 Wisconsin winters and I bought a skytrak, mat net etc. Her and I started doing Superspeed training. Her max drive 6 weeks ago was 110, then 120 then 132 and Sunday she hit 143! I am so proud of all her hard work lately. We put in about 8-10 hours on the weekend. She has a cheap junior set so I splurged and just bought a Ping Prodi G driver. Her driver now is a real piece of **** so I hope this adds some forgiveness and distance. Her goal by the end of January is 160. Her grandma is going to take her putter shopping for a real putter soon. I can't tell you how fun it is to spend this time together with her. The plan is HS golf team an hopefully college. I would love ANY tips or suggestions from those who have done this journey with their kid. If I was you and you want her to play better have her take some lessons and help with her setup. I think you will see a lot gain with a few pointers. Not sure if you can do that up north until spring. Some instructors may have indoor practice areas and I would do this in the winter if you can. Also do as many 1 day tournaments as you can as long as it is a good experience. Make sure there beginner tournaments until she is comfortable. Call the local pga tour and ask if your not sure they should be more then happy to help and give some names of coaches and things you need. Most of those people are pretty good about those sort of things. That's awesome Rich! Enjoy every minute possible with her and hopefully you have a golf partner for life! 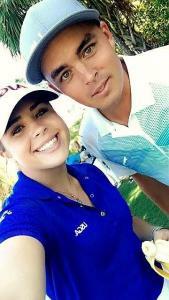 I would also try finding other junior golfers that she could play with vs always playing with you. It'll be more fun for her. If she wants to play high school golf, I do agree that you should get her in tournaments soon since she'll be in high school next year. She'll probably struggle in the beginning but don't let that discourage her or you. I remember thinking my daughter was a good player when she first started and then when I entered her in her first US Kids local events, I was shocked how good these kids were. 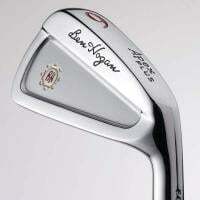 But she worked hard and in her next season, she shaved 8-10 strokes (for 9 holes). So a little more about Ella. She does have a coach and right now has her working on getting weight on her right side and her chicken wing. We have made a lot of progress in the last two weeks there. Probably in 2 more weeks we will have her come down for another lesson. She did well in her junior league considering she just started playing. My best story was from her last match. She was on the tee and pounded one. They were 60 yards away from water and a 78-80 yard carry. She is not the most confident person but walked up to her partner and said "I am just going to hit it over the water". Never batted an eye and hit it over. I was so proud of her. Thanks for all the suggestions and encouragement so far! My daughter didn't pick up a club until 3 months before her 13th birthday. She has a late school year birthday and graduated high school when she was 17. She decided when she turned 13 that she wanted to try high school golf the following year. Being a former coach and teacher I told her she would go all in or nothing at all. I despised girl's who used sports to build their resume for college and put nothing into the sport. She put in a lot of hard work at the sport and played Varsity golf all four years. She went to the Florida HS state championship twice with her team and twice she qualified as an individual with her highest finish being 10th in the state. She qualified when a junior to play in the USGA Girl's Junior in Paramus, NJ. She ended up with a lot of junior experience, a solid junior resume, and now plays D1 golf. First thing you need to know is that high school girl's golf is not played at a high level. If HER goal is to play beyond high school golf, her high school golf resume is basically meaningless. What is important is to play in events outside of high school. She needs to develop a Junior Golf Scoreboard resume playing in multi-day events. In terms of possibly playing college golf she is definitely behind the 8 ball. An average 13 year old junior golfer is driving the ball around 200 yards and are scoring mid 80's from around 5800 yards. Looking at her swing and the distance she is hitting the ball right now she has a long way to go just to make it to the DIII or NAIA levels. It can be achieved, she just has a lot of work to put in. Not saying anything to scare you away, just being realistic. Good luck in your adventure. Wow...that is pretty impressive to start playing at 13 and then to qualify for USGA Junior Girls and now D1. How long did it take her to get down to a mid 70’s player? She must’ve had the combination of just being naturally gifted, athletic and just working hard to get to that level!! How much did she practice? Her first two day real tournament was 8 months after she first picked up a club. She shot 109, 108. Her second tournament was two weeks later and she was in the mid 90's. By the end of the summer she shot her first tournament round in the 70's. It took a full two years to become a mid 70's player. We live in Florida and moved to a Golfing Community during her freshman year. She practiced/played every day. During the summer months and most weekends she practiced 6-8 hours a day. During the school year she practiced from the time she got home until the time the sun went down. There were some times when she would take off and times we had to make her go. Had I known then what I know now, she would have been better. I text you every day. Really great. I hope to share these kinds of moments and events with my kids some day. Good luck to you and especially to her. Ella was using my SuperSpeed clubs but not a good fit so I got her the junior set. She hit a new max at 91mph tonight! She will do SuperSpeed twice a week and medicine ball and GG swing drill on saturdays. We will monitor her speed progress and tweak as needed. This will be along with her normal golf practice. The GG drill I saw on his IG. Kid swings the club and jumps and spins. I think it will help Ella use the ground and strengthen her quads. Looked like a winner to me. For the love of God please don't try and implement drills you see online. Those things you see any instructor teaching are for a purpose specific to that golfer. Not to be mean but you probably don't even have a clue on how to diagnose swing flaws let alone what to implement to fix those flaws. From the video you posted if you want speed your going to need to change her technique and swing a lot. I think you will gain a lot more speed if she has someone show her how to setup and swing at it. Speed isn’t from the arms but the way you swing your body. I wouldn’t practice speed training with a wrong technique. There is good advice on YouTube but there is also bad advice so be careful. 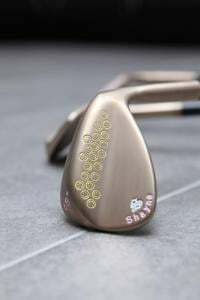 The best advice I seen on youtube is videos that help you explain ball flight and why you may be hitting the club not as you expect. Understanding your ball impact is the biggest thing to achieving lower scores so they are helpful. The sad thing is a lot people have no clue on why the ball does what it does at impact including instructors. She is gaining 10 yards a week so we will continue on the path we are on. Like I mentioned before she has a coach. Her and I are working on what her coach showed her in the last lesson. The super speed program is supposed to be 3 times a week to do the program properly. Congratulations on this. I don't know if my daughter will like the game, but my son really does. Such a special thing as a dad to spend time with them on the course. 91 with the light club up from 86. I am going to be doing medicine ball work with her instead on the day she would do the third SS training. I don’t want to overload her. We will try this and keep tabs on her progress and adjust accordingly. as others said, keep it fun! 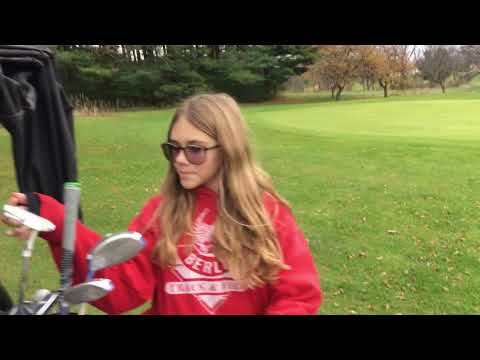 Trips to courses with cool 13 yr old surroundings, facilitate friendly games with friends her age. The improvement will plateau from time to time, and im pretty sure teens dont do well with that;) so make it a fun lifestyle as well. Follow the SS program as it's laid out. 3x per week Max. You'll see some really good gains, really quickly. However, I must warn you. You'll plateau, which is perfectly normal. Your speeds will vary +/- 5 MPH on any given day. 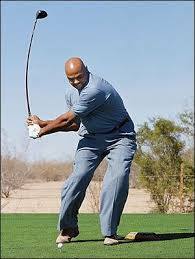 Also, if you're not very careful, you'll pick up some bad swing habits. Namely, going past parallel on the backswing. I know this b/c I did the SSG program last year, and documented my progress (and warnings) over in the SSG thread. I got up to (and documented) up to 143 MPH with the Green (light) stick. Also, the SSG radars read ~5 MPH faster than reality. But, if you want a general idea of how fast your real-life Driver speed is, just look at the SSG readings with the Red (heavy) stick. Best of luck to you and your daughter!! Sounds like you're having a good time together. If you have questions re: SSG, shot me a PM. Ella and I just finished week 2 of the SuperSpeed training. We both hit our longest drives ever today! She has a new driver on the way (Ping Prodi G). She did some medicine ball training and exercises from JoeyDgolf on IG as well as a GG. She is worn out and I am so proud of her effort. I think the new driver will be a much better fit for her so possibly a big jump in distance coming!